Happy Election Day, sweet friends! 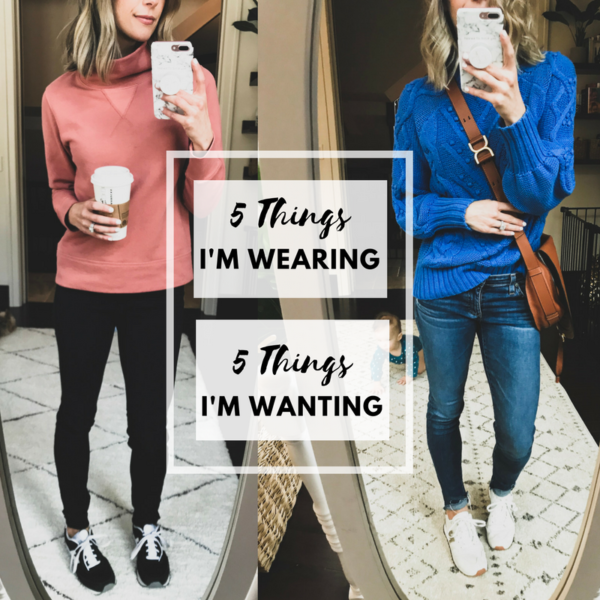 I wasn’t sure about sharing a blog post today because let’s be real: this style stuff really doesn’t matter. The ONLY thing that matters today is that your voice is heard and YOU VOTE. That’s it. I did a poll on my Instagram Stories asking whether or not there should be a blog post today and 75% of you voted “Yes, I Need An Escape.” Because I aim to please, today I’m bringing you the best of Bloomingdale’s Private Sale. There are SO many great finds on sale and you can take $25 off every $100 you spend. A lot of the pieces that I wear over and over again are included in the sale and I’ve linked those below. But, can we make a deal? 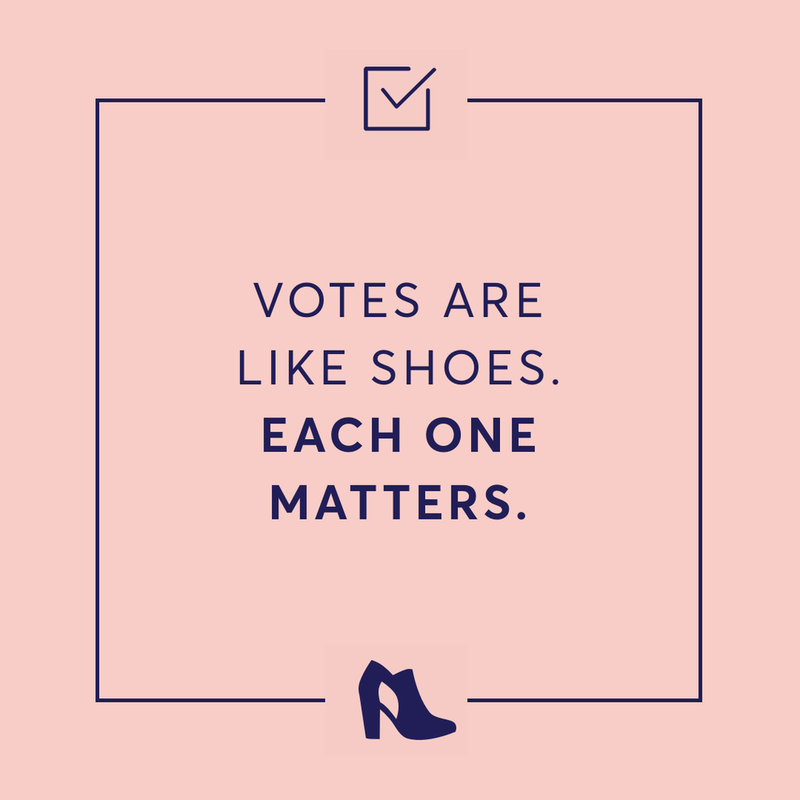 No shopping or ordering or buying or escaping into retail therapy until you VOTE, k? 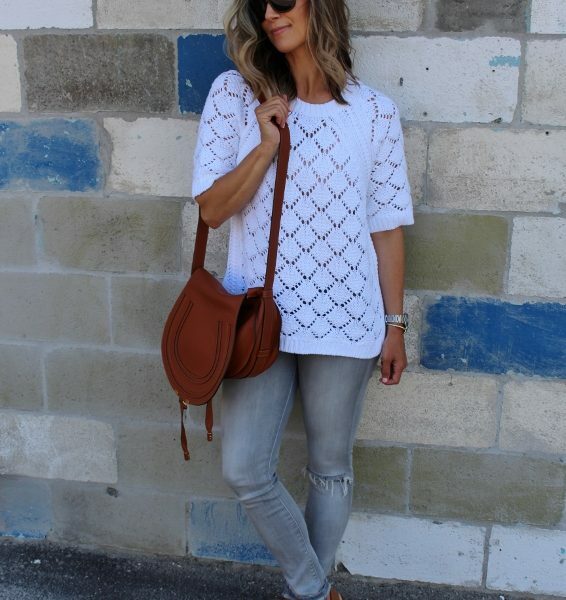 My Ag Ex Boyfriend jeans are in stock and on sale! I scored them at the Nordstrom Anniversary Sale and they sold out quickly and will again. They run big, so be sure to size down. I found this very similar Blank Denim hooded moto jacket that’s included in the sale! Woohoo. Scoop it up. My Rebecca Minkoff Love bag is more than 50% off in a gorgeous pink color. I found a dupe of my trench coat that’s included in the sale and it’s SO cute, I almost like it better than mine. Loving the feminine silhouette. The black wash version of my favorite mom jeans is also included in the sale! My new Levi’s are included in the sale! 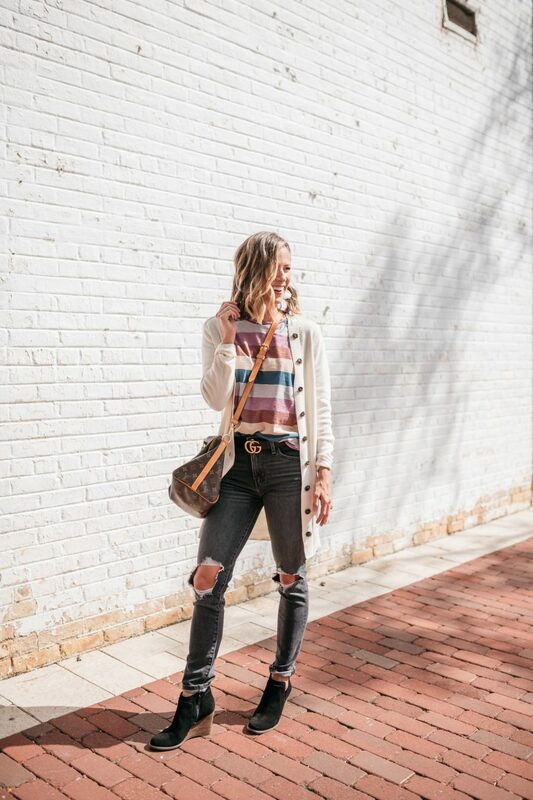 Real talk: these are the ultimate mom jeans and if you’ve never worn mom jeans, you might not want to start with these. BUT, if you love these Levi’s, then you’ll probs love this pair. They are SUPER high rise and they kind of flatten out the booty, but I LOVE them. Size up because they run small. You’ll receive triple points when you order this Free People sweater. It comes in 3 colors and is as soft as butter. I’m wearing XS. 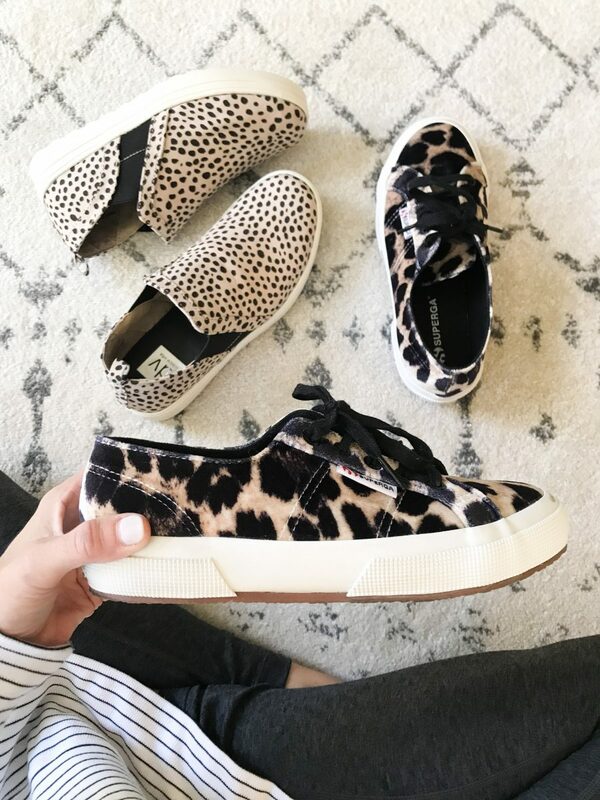 My leopard kicks are included in the sale!